I only made one New Year’s resolution this year: Revive the long-dormant Statistics Department newsletter! This newsletter is a team effort, and I’d like to start by thanking Kathy Smith in particular for all of her behind-the-scenes work not only on this project, but in maintaining our department website in general. Unlike the newsletters of the past, this new incarnation is web-based, and we’ll take advantage of this format by occasionally inserting links into the text for those who wish to delve deeper. There will of course be a bit of overlap with what’s already on our web pages, but this separate document will allow us to spotlight certain items and provide an easily browsable format for the hundreds of people worldwide with a strong connection to Penn State’s Department of Statistics. I’m now halfway through my fourth year (!) as department head, so it would take several e-issues of the newsletter—which we plan to update every semester—to catch up on the past several years’ happenings. Rather than trying to give a comprehensive account, I’ll kick off this first issue by mentioning some of the major stories. First and foremost, we have many new faculty members (fourteen, to be exact) and staff members (four of them) who have joined our department since I became head in the summer of 2012. You can read brief introductions to them below. One development that has been accelerating over the past couple years is our department’s ascendance as a center for statistics education. For over a decade, our online program has been creating a reputation as one of the strongest in the nation as we have continued to build our expertise in this area. More recently, we have hired several faculty members with strong research interests in statistics education, and they are featured in a nice article that appeared in the December 2015 issue of Penn State’s Science Journal. While it’s difficult to replace giants like our former colleagues Bill Harkness and Bob Heckard who have retired, our current faculty are carrying on their tradition of educational innovation. Other features in this issue of the newsletter include a rundown of upcoming events, a synopsis of some of the major departmental events of 2015, and various news items—by no means an exhaustive list—involving our faculty and students. 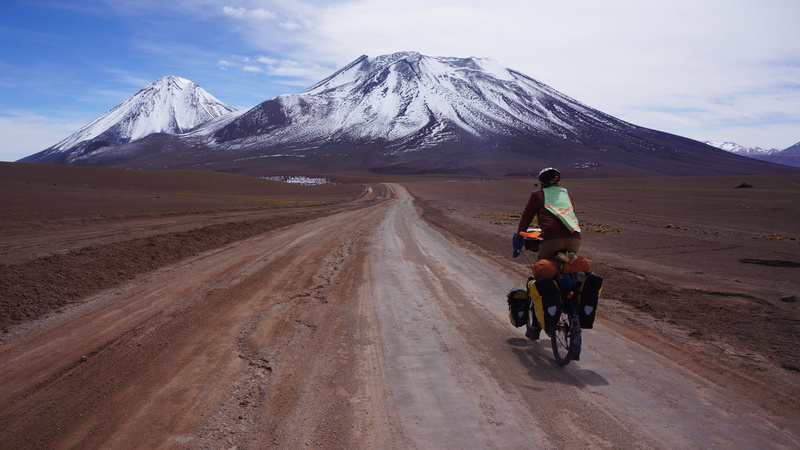 There have been quite a few births to members of the department, and one of our former graduate students has chronicled her recent 16-month bicycle trip from one end of the Americas to the other. Finally, we include a short tribute to two very good friends and colleagues we lost recently, along with links to full obituaries. Until our next issue of the newsletter in the summer semester, I wish you all the best and I hope everyone’s 2016 is off to a great start! The bi-annual Clogg Memorial lectures will be held March 21-23, 2016. 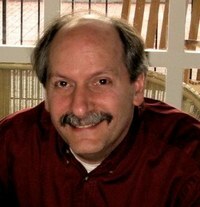 This year’s speaker, chosen by a joint committee of statistics and sociology faculty members, is Mark Handcock of the University of California, Los Angeles. 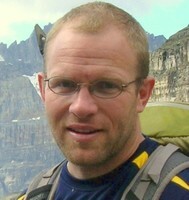 Dr. Handcock, who is currently the chair of UCLA’s Department of Statistics, is an affiliate of the California Center for Population Research and is well-known for his statistical work in the social sciences. The Clogg Lectures, which honor the contributions of a former Distinguished Professor of Statistics and Sociology at Penn State, feature speakers whose work bridges the fields of statistics and sociology. The selection committee is always comprised of faculty from both departments, but by design the two departments alternate in taking the lead on selecting the honorees. The first-ever Marker Lectures in Statistics will be delivered by Dr. Bin Yu from the University of California, Berkeley. We are organizing her visit jointly with the Department of Public Health Sciences (which includes Penn State’s biostatistics group) at the Hershey medical campus, and our hope is that the Marker Lectures can continue in this mode in the future and serve as a means to facilitate interaction between our two departments. Dr. Yu, who is a member of the United States National Academy of Sciences, will give one talk in the Statistics Department on Tuesday, April 26 and another the next day in Hershey. More details will be forthcoming once schedules are firmed up. This year DataFest is scheduled for April 22-24, 2016. 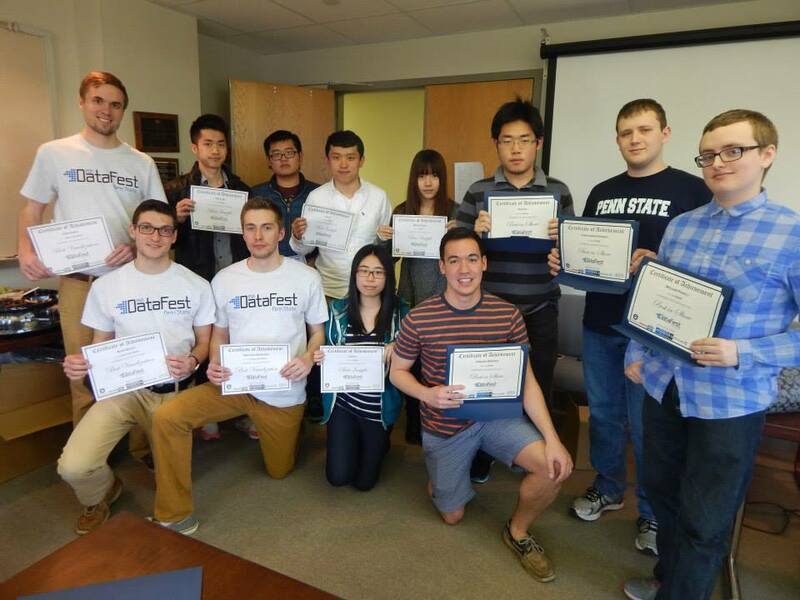 Check out our description of DataFest 2015 at Penn State. The 2016 Electronic Conference on Teaching Statistics (eCOTS) will take place May 16-20, 2016. This year eCOTS 2016 will feature two keynote speakers: Andrew Gelman from Columbia University and Michael Jordan from University of California, Berkeley. eCOTS will also include virtual panel discussions, breakout sessions, workshops, posters, birds-of-a-feather discussions, and new this year, some regional face-to-face mini-conferences connecting to eCOTS. The Department of Statistics at Penn State held a one-day conference on Thursday, May 14, 2015 to honor Professor Sir David R. Cox, the 2015 C. R. and Bhargavi Rao Prize Recipient, Professor Vijay V. Raghavan, the 2015 C. G. Khatri Lecturer, and Professor Nancy Reid, the 2015 P. R. Krishnaiah Lecturer. 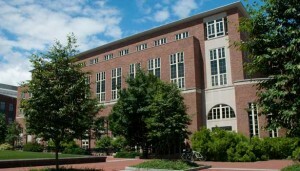 The one-day conference was held in 102 Thomas Building on the University Park campus of Penn State University. The next conference will be scheduled for Spring, 2017. Last year’s United States Conference on Teaching Statistics (USCOTS) brought more than 450 statistics educators to the Penn Stater Conference Center Hotel from May 28th through 30th, 2015. The theme, “Making connections,” was chosen to reflect the multiple ways in which the conference was meant to help the community of statistics educators enable their students make connections—with each other, with statistical topics, between statistics and other disciplines—while also encouraging professional connections within the community. The conference was partly organized by Dennis Pearl, who joined our faculty in 2014, and several staff members and graduate students, notably Kathy Smith, Lorey Burghard, and Bob Carey. 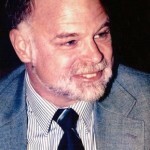 The conference website, which includes links to presenter materials, is still maintained at CAUSEweb.org (hosted at Penn State ever since Dennis arrived here). An article describing USCOTS 2015 appeared in the online version of AmStat News in October 2015. The 2015 ASA DataFest at Penn State University was a weekend-long statistical modeling competition that took place April 10-12. Teams of three to five students spent most of a weekend holed up in the Thomas Building analyzing a massive dataset provided by Edmonds.com. They were tasked with exploring the dataset with a very general goal in mind, as supplied by Edmonds.com: “Help us make car buying easier for our users.” On Sunday afternoon, at the end of a grueling weekend, each group gave a brief presentation of their findings to a group of judges as well as each other. Shown in the picture are the winning groups. The prize for best visualization went to team Blue and White (Adam Geller, Matthew Bierowski, and John Vassil), best insight went to Penta (Jinyao Hu, Zhang Lin, Jiaxin Li, Kai Jin, and Minyue Yang), and the most creative team presentation was produced by Spark (Nicholas Hilman, Dominic Mirabile, William Powell, Hao Xu, and Christopher Sharkey). And the grand prize went to… Spark! DataFest originated at UCLA in 2011 and is now sponsored by the American Statistical Association. We are already looking forward to Datafest 2016, scheduled for the weekend of April 22-24. Each year’s DataFest uses the same dataset, which is not announced beforehand, at all sites around the country. Dennis Lin, professor of statistics at Penn State University, has been selected to receive the title of Distinguished Professor of Statistics. Lin was honored with the title in recognition of his exceptional record of teaching, research, and service to the University community. The honor is designated by the Office of the President of Penn State based on the recommendations of colleagues and the dean of the Eberly College of Science and recognizes “acknowledged leaders in their fields of research or creative activity”. The International Astronomical Union (IAU) was founded in 1919. Its mission is to promote and safeguard the science of astronomy in all its aspects through international cooperation. Its individual members—structured into Divisions, Commissions, and Working Groups—are professional astronomers from all over the world, at the Ph.D. level and beyond, who are active in professional research and education in astronomy. 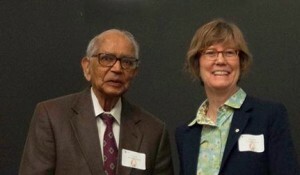 The awards committee of the International Environmetrics Society (TIES), in their citation, recognized Dr. Murali Haran‘s contributions to multiple statistical research areas relevant for environmental sciences, including spatial models, MCMC algorithms, compartmental models, and statistical methods for studying climate change, as well as for his mentorship to students and service to the environmetrics community. The award was presented at the TIES 2015 conference in November 2015 at the United Arab Emirates University, Al Ain, UAE. Dr. Kari Lock Morgan, who recently joined our faculty as assistant professor of statistics, is initiating a project that focuses on the transformation of Introduction to Biostatistics (STAT 250) using a simulation methods approach to introduce real data from biology and medicine in lecture, lab, homework, and exams. The Tombros Fellows Program is intended to encourage and foster the development and implementation of innovative teaching methodologies, assessment techniques, and new courses in the Eberly College of Science. Professor Dennis Lin has won the prestigious The William G. Hunter Award, presented annually in honor of the founding chair of the Statistics Division of the American Society for Quality to a person whose qualities mirror those of Bill Hunter, including “substantial contributions to statistical consulting, education for practitioners, and integration of statistics with other disciplines as well as demonstrated excellence in communication and implementing innovative applied statistical methods”. Bing Li, Duncan Fong, and Dave Hunter have all been included in the 2015 list (with citations) of new fellows of the American Statistical Association. The ASA honors only one-third of one percent of its members as fellows each year. The 2015 class of fellows brings the total number of ASA fellows among statistics faculty members in our department to 9, joining 6 fellows of the Institute of Mathematical Statistics, 2 fellows of the American Association for the Advancement of Science, and one each in the American Society for Quality and the American Mathematical Society. Laura Burghard was recognized for her initiative and contributions in promoting a positive climate and atmosphere in her work with the Consortium for the Advancement of Undergraduate Statistics Education (CAUSE), and for her many activities related to fund raising for the United Way in addition to her work in spearheading much of the recent renovation work that has taken place in the department. 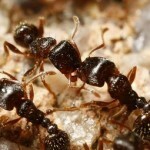 What can ants teach us about the transmission and spread of human disease? Perhaps a lot, according to a team of researchers who recently received a grant of more than $1.8 million from the National Science Foundation to explore this question. The research project, led by principal investigator Dr. David Hughes (Entomology/Biology), has a strong statistical component led by Dr. Ephraim Hanks, Assistant Professor in the Department of Statistics. 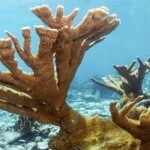 A new study published in Scientific Reports suggests corals may have a greater capacity to adapt to changing ocean conditions than experts thought. 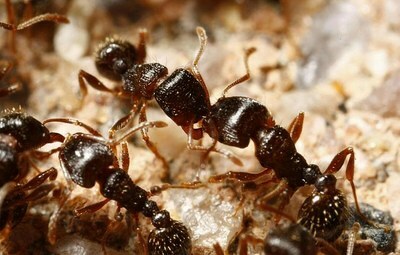 This study involved a collaboration between biologists John Everett Parkinson, Anastazia T. Banaszak, Todd C. LaJeunesse, and Iliana B. Baums, and Professor Naomi S. Altman in the Department of Statistics. The Statistical and Applied Mathematical Sciences Institute (SAMSI) in Research Triangle Park, North Carolina, fosters new collaborations among researchers at multiple institutions around the world by bringing them together for semester or year-long programs. A recent Amstat News article highlighted a SAMSI research group focused on statistical methods for studying paleoclimate for, remarkably, continuing to work together five years after the SAMSI program that brought them together officially concluded. The research group includes two Penn State faculty, Martin Tingley (Meteorology/Statistics) and Murali Haran (Statistics), along with Peter Craigmile (Ohio State), Bo Li (U of Illinois), Elizabeth Mannshardt (NC State) and Bala Rajaratnam (Stanford). 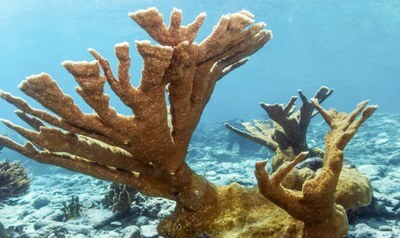 The researchers began meeting as part of the 2009–2010 SAMSI program on Space-Time Analysis for Environmental Mapping, Epidemiology, and Climate Change. Professor Francesca Chiaromonte of the Department of Statistics was part of a research group that published results on a large study of mutations in mitochondrial DNA. A multidisciplinary Penn State and UC Berkley team including researchers in genomics, bioinformatics, medical sciences, forensic sciences and statistics produced and analyzed breakthrough data on mutations that accrue as human mitochondria are passed from mothers to children. These mutations are involved in a large number of diseases. The findings that mitochondrial DNA molecules undergo a small bottleneck, and that mutations are more common in children of older mothers, are therefore critical for genetic counseling. This work was published in the Proceedings of the National Academy of Sciences. 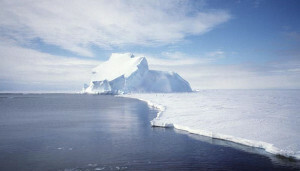 The National Science Foundation’s Division of Mathematical Sciences has awarded more than $500,000 to Penn State to develop new statistical methods needed for predicting the future of Antarctic ice sheets, which now are melting at an alarming rate. The Penn State research group involves principal investigator Murali Haran in the Department of Statistics, Chris Forest in Meteorology, and David Pollard and Patrick Applegate from the Earth and Environmental Systems Institute. A National Institutes of Health Big Data to Knowledge Program grant to Donna Coffman, research associate professor in Penn State’s College of Health and Human Development and principal investigator at the Methodology Center, targets the development of big data methods for biobehavioral change and maintenance. This training grant is for more than $500,000 over three years. Coffman’s primary mentor will be Runze Li, Distinguished Professor of Statistics. Her co-mentors will be Vasant Honavar, Professor and holder of the Edward Frymoyer Chair of Information Science and Technology and Joshua Smyth, professor of biobehavioral health and medicine, all at Penn State. 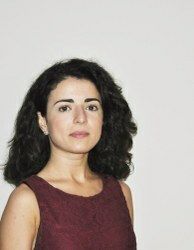 Armine earned her Ph.D. in Statistics at Penn State in August 2015. 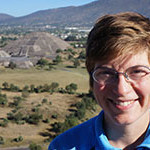 Her research interests include topics related to limit theory for sequences with dependence and dimension reduction. She is currently teaching statistics and probability courses for our department. 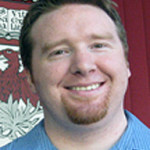 Matt is the new chair of our undergraduate program. He joins us from Medtronic, PLC in Minneapolis, MN where he spent 7 years as a Senior Statistician in the Neuromodulation sector while concurrently completing his Ph.D. in Educational Psychology (Statistics Education program) along with an M.S. in Statistics at the University of Minnesota. His research interests include statistics education, educational assessment, and industrial statistics. In his free time, Matt enjoys spending time with his wife and two children as well as skiing, soccer, and running. 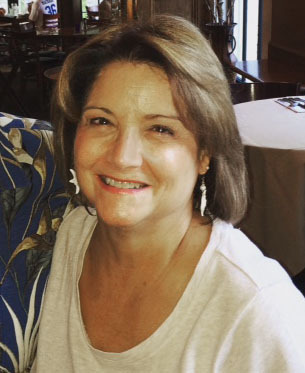 Laura has been with the department since January of 2015. She began her Penn State career with the Nittany Lion Inn, eventually joining the College of Nursing before accepting her current position as the Event Coordinator for the department, the Statistical Consulting Center, and CAUSE, the Consortium for the Advancement of Undergraduate Statistics Education. 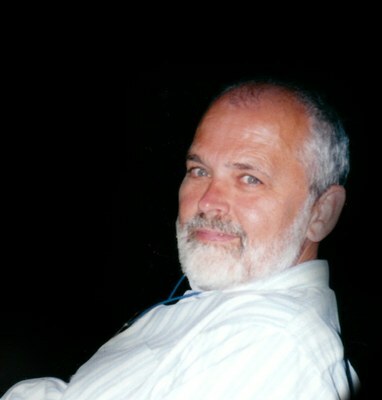 Bob Carey, a recent Penn State Information Science B.S. graduate, joined the Statistics IT Group and CAUSE (The Consortium for the Advancement of Undergraduate Statistics Education) in June 2015. 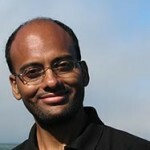 His research interests include human computer interaction, spatial visualization, and teaching with technology. Kirsten Eilertson joined the statistics department faculty as a research associate and one of the lead faculty consultants for the Statistical Consulting Center. 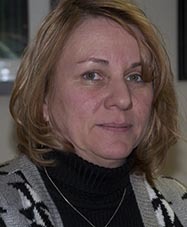 She joined us from the Gladstone Institutes, where she provided guidance with statistical analysis implementation and interpretation, developing novel statistical techniques and modeling frameworks, and teaching workshops on statistical software and methods. 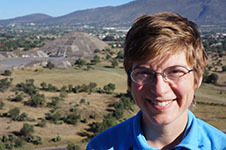 She holds a Ph.D. in Statistics from Cornell where she worked with Carlos Bustamante and Jim Booth. Ephraim Hanks, a new assistant professor, joined us from Colorado State University, where he received his Ph.D. in Statistics. Ephraim’s research interests include spatio-temporal statistics, Bayesian hierarchical modeling, optimal sampling, animal movement, and landscape genetics. Karen Jervis, the newest member of our staff, handles walk-in undergraduate advising for our rapidly growing group of statistics majors and minors. She is a native of southwestern PA and an alumna of West Virginia University. Karen also has an M.Ed. and an M.B.A. from Penn State and has past experience in both education and business. She most recently worked as an adviser for New Student Orientation at Penn State and is looking forward to working with students in the Statistics department. 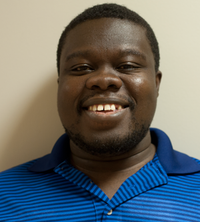 Kwame earned his Ph.D. in Statistics from Penn State’s Department of Statistics in December 2014. 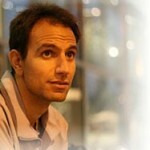 His research interests are design of experiments and high-dimensional data analysis. 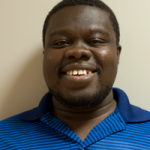 Kwame has applied penalized likelihood methods to the analysis of robust parameter design experiments. 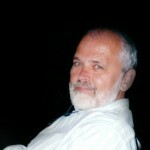 He enjoys teaching and has experience teaching online as well as in residence. In his spare time Kwame enjoys running and the gym. Lynn Lin joined our department in the fall of 2015 as an assistant professor. 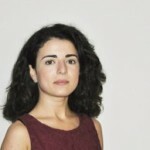 Her research interests lie in the development of Bayesian statistical methods and computational tools for high-throughput and high-dimensional data exploration and analysis. 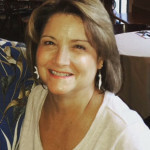 Before joining Penn State, Lynn held a postdoctoral position at Fred Hutchinson Cancer Research Center in Seattle and earned a doctoral degree in statistics from Duke University. 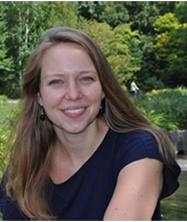 Kari Lock Morgan joined us in 2014 as an assistant professor. Prior to joining Penn State, she was at Duke University where she spent three years on the faculty after getting her Ph.D. in statistics from Harvard University in 2011. Her research interests include statistics education and causal inference. Kari was a professional figure skater before becoming a statistician, and now outside of work she enjoys ultimate frisbee and time with her kids. 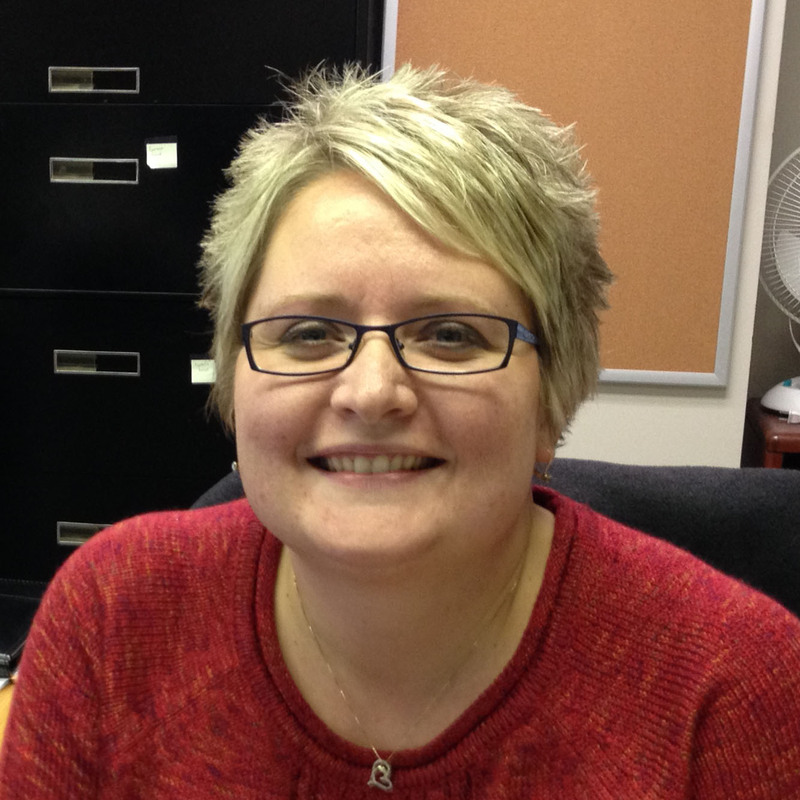 Melanie joined the department in August 2014 as our student information coordinator. Melanie joins us from the graduate program office, bringing with her valuable experience and in-depth knowledge of the admissions program here at Penn State. Born and raised in Central Pennsylvania, Melanie enjoys reading, camping with family, and attending all her children’s sporting events. Dennis Pearl joins us after three decades at The Ohio State University. He is the Director of the Consortium for the Advancement of Undergraduate Statistics Education (CAUSE: see www.CAUSEweb.org), a national organization dedicated to providing resources and professional development opportunities for instructors of undergraduate-level statistics courses. His own education research program includes studying the use of fun materials like cartoons and songs in teaching statistics. His statistics research is in the area of Bayesian phylogenetics, which studies the evolutionary history of organisms using molecular and other data. 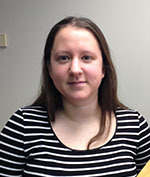 Daisy Philtron graduated with her Ph.D. in statistics from Penn State at the end of 2014. Her research interests are primarily in statistical approaches to the analysis of biological and genetic data, but she is also interested in many other applications. She has returned to Penn State to serve as a visiting assistant professor, a position that enables her to pursue both her research interests and maintain her commitment to statistics education. Her hobbies include training service dogs and long-distance cycling. Before joining the faculty here she completed a 16-month journey by bicycle from Alaska to Patagonia. 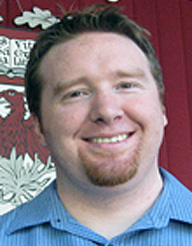 Matthew Reimherr joined Penn State as an assistant professor in Fall 2013. He received his Ph.D. in Statistics from the University of Chicago. 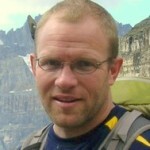 Matthew’s work is primarily concerned with the theoretical development and application of methods for functional data. The Applied FDA areas Matthew is particularly interested in are the high-frequency settings encountered in financial econometrics and space physics, and the sparse longitudinal settings encountered in genetics. 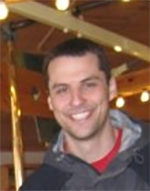 Some of Matthew’s other research interests include time series analysis, change point analysis, statistical genetics, quantifying prior impact on Bayesian analyses, and the intersection of dependence and information theory. 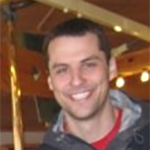 Ben Shaby joined our department as an assistant professor in the fall of 2013. 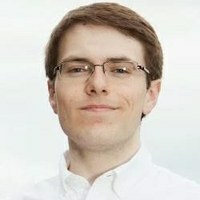 He develops statistical methods and computational strategies, usually either explicitly Bayesian or with a Bayesian feel, with an eye toward environmental, ecological, and geophysical applications. This leads naturally towards thinking about spatial dependence, including dependence in extreme events. Before arriving at Penn State, Ben held postdoctoral positions at UC Berkeley and SAMSI/Duke University and completed his Ph.D. studies at Cornell University. Bharath Sriperumbudur joined us as an assistant professor in August 2014 after his stints as a Research Fellow in the Statistical Laboratory, University of Cambridge and as a Research Associate in the Gatsby Unit, University College London. He studies non-parametric statistics and machine learning and is particularly interested in the applications of reproducing kernel Hilbert spaces in these areas. His research interests also include empirical process theory, concentration of measure, regularization and inverse problems, and statistical learning theory. 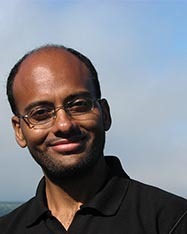 He holds a Ph.D. in Electrical and Computer Engineering from the University of California, San Diego. 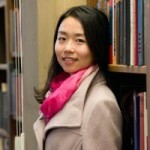 Lingzhou Xue joined the department as an assistant professor in January 2014. 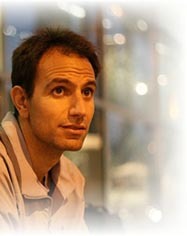 His research is in the area of high-dimensional statistical learning and inference. Lingzhou is particularly interested in the statistical analysis of large-scale complex networks, statistical inference of large covariance matrices, financial econometrics, and advanced optimization algorithms. 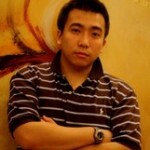 He is currently working with two graduate students, Kevin Lee and Amal Agarwal. Before joining Penn State, Xue was a postdoctoral research associate at Princeton University. He received his doctoral degree in statistics from the University of Minnesota in 2012 and his bachelor degree in statistics at Peking University in 2008. 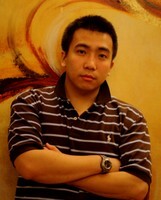 In his spare time, Lingzhou enjoys traveling with his wife, photography, reading, playing basketball, and hanging out with friends. Whitney joined the department in June 2015, working primarily with STAT 200 offered via World Campus. She earned her Ph.D. in Educational Psychology from Penn State in May 2015. 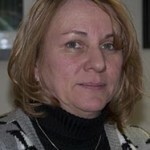 In the College of Education she had taught courses in statistics and human development. 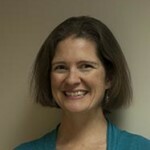 She also worked as a graduate consultant at the Schreyer Institute for Teaching Excellence. 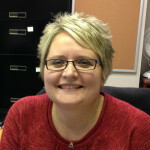 Her research interests are in the applications of learning theories to post-secondary statistics education. Our department has had two students win computing fellowships recently, Kevin Lee in 2014–15 and Hyun Bin Kang in 2015–16. The academic computing fellowship program, established at Penn State in 1987, is for doctoral students with a background and strong interest in computing applications within their disciplines. Awards are competitive and require nomination by a department as well as letters of recommendation from faculty. Fellows are awarded a yearly stipend plus payment of tuition and fees, as well as a $2,000 grant for such activities as travel to national conferences. Fellowship appointments are renewable annually up to a total of three years. Kevin Lee and his coauthors won the student paper competition of the Statistical Learning and Data Mining (SLDM) section for “Model-Based Clustering for Large Scale Dynamic Networks” and also won the biometrics section student paper competition with their paper entitled “Nonparametric mixture of Gaussian graphical models, with applications to attention deficit hyperactivity disorder (ADHD) imaging data”. Students are only allowed to win one award each year, so Kevin chose to accept the SLDM award. Selected winners will present their papers at the 2016 Joint Statistical Meetings in Chicago and the winning papers will be recommended for submission to Statistical Analysis and Data Mining: The ASA Data Science Journal. Kevin’s dissertation adviser is Lingzhou Xue, with co-advisor David Hunter. Joshua Snoke won the competition, sponsored jointly by the Social Statistics Section (SSS), the Government Statistics Section(GSS), and the Survey Research Methods Section (SRMS), for the paper he coauthored entitled “General and Specific Utility Measures for Synthetic Data”. Papers entered in this competition must involve either a new statistical methodology, or a creative application of statistical analysis to a problem, issue, or policy question pertinent to the subject area of one of the sponsoring sections. 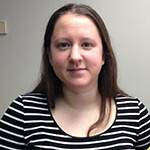 Joshua’s dissertation adviser is Aleksandra Slavkovic, who worked with him on the paper. Joshua will receive his award at the 2016 Joint Statistical Meetings. The Gertrude M. Cox Scholarship was established in 1989 to encourage more women to enter statistically oriented professions. This national award is presented at the Joint Statistical Meetings every year. 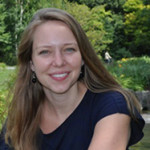 In Seattle in 2015, Meridith Bartley received an honorable mention for her strong leadership efforts and her initiative in working to improve the climate for graduate students in the department. Joshua Goldstein took first place in the student poster competition at the Graybill Conference/ENVR workshop on Modern Statistical Methods in Ecology at Colorado State University in Fort Collins. This conference is jointly sponsored by CSU and the ASA section on statistics for the environment. His thesis adviser is Murali Haran. The Department of Statistics offers two vibrant online programs, the Certificate in Applied Statistics, a 12 credit graduate certificate program, and the professional Master of Applied Statistics. Both programs continue to grow in enrollment. During the fall 2015 semester, we had 27 course sections, and an additional 17 lower level undergraduate classes online. This spring 2016 there are a total of 49 sections, with 40 instructors and professors teaching online. The program provides much sought after educational opportunities in applied statistics, primarily for students who are working full or part time who cannot attend a residential program. Many are also mid-career, with advanced degrees in another field. For the M.A.S. degree we admit about 12 students per year in the residential program, and nearly 90 in the online program. The Statistical Consulting Center provides short term statistical consulting to clients who are primarily graduate students at the university. In addition, longer term projects and collaboration of research projects are encouraged. These consulting meetings provide our M.A.S., M.S., and Ph.D. students with real world experience in working with clients. Recent news from the SCC: Maggie Nui was appointed as the associate director beginning last year, and Stefanie Austin holds a joint appointment between the Penn State Library Data Learning Center and the SCC. These library services are in keeping with an expended mission of the library, and the SCC is recognized as part of a network of services which are available to researchers at Penn State. Statistics Department recognized for positive contributions to the college climate and diversity. The Dean’s Climate and Diversity Awards Recipients for 2015 went to the Physics and Astronomy for Women graduate student group for their outreach work, Star Sharpe, the Director of the Millennium Scholars Program for her work with the diverse group of undergraduates students providing foundations that will serve them through graduate studies, as well as Dr. Stephen Schaeffer for his advising and mentoring of graduate students in the Department Biology. In the Department of Statistics, Laura Burghard was recognized for her initiative and contributions in promoting a positive climate and atmosphere in her work with the Consortium for the Advancement of Undergraduate Statistics Education (CAUSE), and through her many activities related to fund raising for the United Way in addition to her work in spearheading much of the recent renovation work that has taken place in the department. Graduate students Meredith Bartley and Sayali Phadke were also recognized for their efforts helping to found what is now the Statistics Graduate Student Association which is also an affiliate of the universities Graduate and Professional Student Association. This group organizes and holds regular and very popular workshops and events for students. Laura’s, Meredith’s and Sayali’s efforts continue to stimulate positive energy and a collegiality among the students, faculty and staff in the department. In the previous year, Stefanie Austin won one of the college-wide awards for her efforts to revitalize the Stat Club, a group comprised mostly of undergraduate statistics majors but with a few graduate students as well. The Stat Club organizes various activities for students including an annual career fair that attracts representatives from various companies in our area who hire statisticians. Dr. Lindsay joined our faculty in 1979 as an assistant professor and spent the next 36 years fulfilling the roles of teacher, researcher, mentor, and department head. He was recognized as a world leading researcher in multiple fields, including mixture modeling, likelihood approximations, and model selection, to name just a few areas where his research has had a major impact. He was also a beloved mentor to a large number of Ph.D. students, most of whom have gone on to very successful careers of their own. 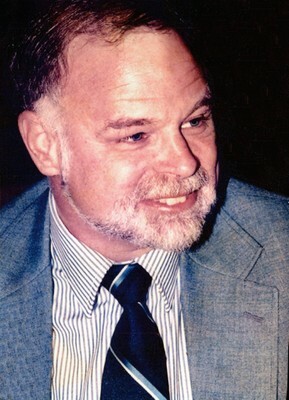 He was the holder of the Eberly Family Chair in Statistics, one of the highest honors awarded to faculty members in Penn State’s Eberly College of Science. The August 2015 issue of the IMS bulletin published a full obituary for Bruce. Dr. Arnold joined the department in 1976, and with his booming voice he could often be heard up and down the halls of Pond Lab, then Thomas Building discussing all manner of statistical topics. Chief among these topics, of course, was the field of linear statistical models, on which he taught a well-known graduate course to hundreds of Ph.D. students over the years using the textbook he wrote himself. He also proposed and served as the founding faculty member in charge of the new undergraduate major in Statistics, guided it through the Faculty Senate for approval, and directed the program for eight years. The March 2015 issue of the IMS bulletin published a full obituary for Steve. The Department proud to announce the birth of children to our faculty and staff in the past year! Stefani Austin and her husband, Peter announced the birth of their daughter Phoebe in September 2015. Kari Lock Morgan and her husband Eugene also announced the birth of their daughter Daisy in October of this year. Qunhua Li and her husband Zibiao have also announced the birth of their second child, also a daughter born in November 2015. Maggie Niu and Le Bao announced the birth of their second daughter Bella in December of 2014. Adventures of Daisy Philtron, the roaming statistician! In Daisy’s words: Last year my husband and I spent 16 months riding our bicycles on the Pan-American route between Anchorage, Alaska and Chilean Patagonia. We pedaled 17,445 miles over 485 days, and traveled through nine countries. We were entirely self-sufficient, carrying our own tent, cooking supplies, food, water, and entertainment. During the first 4 months of the trip I wrote my dissertation. Each night in the tent I worked diligently on a laptop we carried, until that delightful day in September, 2014 when we flew back to State College for my defense. For the next 11 months we rode in Latin America. Words are insufficient to describe how fantastic this portion of the trip was. Mexico in particular is a gorgeous country with friendly people and excellent food. In South America we experienced sublime scenery, local hospitality, and challenging conditions. We spent over a month above 14,000’ elevation in Bolivia, surviving extremes of cold and altitude. In Ecuador we battled mudslides, in Colombia we had to get on the road at 5 am to beat the heat, and in Peru we climbed mountains daily. Once we managed to gain 9,000 vertical feet in single day. Throughout the trip we navigated large cities, tiny towns, the Spanish language, civil protests, and busy roads filled with swerving buses. It was a collection of unforgettable experiences that renewed our faith in people everywhere and increased our awe for the Andes, the desert, and for indoor plumbing. If you want to read more about the trip, visit the website thephiltrons.com and watch for announcements about presentations in the department and at the outdoor stores downtown. Keep in touch with the Department! Find out more about upcoming events and talks, and keep in touch with our faculty and students!